What's the most important part of skincare? If you think that moisturising or using sunscreen then you're wrong. Even if every part of skincare is important, products won't work as they should on a dirty canvas. Cleansing is the most basic step but even this simple part of your skincare can go wrong. Let's be honest - keeping up the hygiene after a long day of work is hard. We do everything as fast as we can because we live in a constant motion. Time doesn't want to help us but sometimes it's good to slow down a little bit. Especially if it comes to cleansing. I'm sure that there's a big group of people who use towels to dry their faces but it's not always the safest way to dry skin after cleansing. If you change the towel every day then it might work - we should change the towel after every use but for me, paper towels are better - I don't have to remember about changing the towel after every use/every day. What I think that most of us do not remember about is... washing hands before we clean our faces. If you wonder why washing your hands should be your first step of your skincare is just because your hands are full of bacteria and your skin don't like bacteria because it's a source of acne, inflammation and many different skin conditions. I think that I don't have to remind you about using fresh water. To double cleanse or not - what's better? And the biggest problem of the cleansing - to double cleans the skin or not? I know that double cleansing started to be very popular but too much is also not good. I use double cleansing only during the evening when I need to remove my makeup. I know that some people are scared of oils, especially if you're an owner of oily skin but that's why we have the second part - a water-based cleanser to remove the rest of the oil. So to make it short - double cleanse is good but it's better to not overdo it. How to choose an ideal cleanser? Do ideal cleansers exist? Not really, one cleanser will work for me but it might not work on your skin. If you want an ideal oil cleanser then I recommend you comedogenic rating - for example, the oily skin might not like oil cleansers based on coconut oil - and obviously ingredients because some cleansers have more PEG's than other ingredients. I've made a post about oils for acne prone skin before, you might want to check it. You might also want to check the texture - thicker oils will be better for dry skin while oily skin will prefer lightweight textures. If it comes to water-soluble cleansers then we have to check cleanser pH first. The ideal cleanser should have pH around 5,5 pH, unfortunately, producers do not like to inform us - consumers - about cleanser's pH level that's why there are long lists of cleansers pH made by bloggers & skincare lovers online. If you've got acne-prone skin then cleanser's pH should be a very important thing for you because high pH in a product is an ideal environment for a bacteria. pH also has lots of meaning for our pores. The other thing that we should check is the amount of alcohol in the cleanser - try to find a cleanser without it. Alcohol in cosmetics is not always bad, it can boost other ingredients but it can also make your skin dry. We do not want to see harsh surfactants in our cleanser so SLS is not our friend here. The main problem with harsh surfactants is that it removes not only makeup but it can also harm natural lipid barrier and it might cause inflammation and other bad stuff. Micellar solutions are great - I like them a lot, but they are usually full of surfactants which aren't that good for the skin. What I found out and what I think I'm not the only one and lots of people do that - it's good to remove micellar water from the skin after using it, so every time I use micellar water I try to wash my face with water. Again, the problem is in pH. Usually, soaps have too high pH level and we can't even check it before we buy it. The ideal pH for a cleansing water-based product is around 5,5, if it's too high, let's say above 6,5 then it's an ideal environment for a bacteria that's why we have to be careful with soaps. If you use makeup then removing mascara, eyeliner and lipsticks should go first. There are special cleansers that will help you remove your makeup, all you have to do is to soak the cleansing pad and carefully press it to your eyes or lips for couple seconds and then remove it gently. We do not want to pull skin near this area because the skin around the eyes is more sensitive. What I saw in some beauty programs - you can soak cotton swabs in a cleanser and remove the rest of the mascara with it. After that, I always like to cleanse my eyes with an oil-based cleanser once again. One pro tip if it comes to cleanser - we try to remove our makeup from the inside out - so we start from the corner of the eye and we move our hands in the direction to the ear. Some people say cleansing brushes are great, some people say they are not good. I think that it depends on how often you use cleansing brushes and what kind of brush do you use. The one with synthetic hair that runs in circles work more like a peeling than a cleansing device and this type of brushes can cause micro wounds and as you should know fresh wound is the best environment for bacteria. I prefer sonic brushes but it's better to use it in moderation. Unfortunately, it's not a joke - over-cleansing is a thing! We use products based on chemicals which can not only remove your makeup or bacteria from your skin, it might also destroy lipid barrier what can end up with skin dehydration and inflammation. So use the milder product, twice a day - in the morning and in the evening. You can even use a pure water in the morning - I know that some people do that, it might not work on oily skin but for dry skin, if you do not use sleeping masks or heavy creams then you can always try it. The other thing that you should really focus is the amount of product you use - you don't have to use 20 ml of a cleanser every time, a small amount of cleansing gel mixed with water will be enough. There's no ideal recipe for cleansing as well as a recipe for food because we all are different, we all have different taste and we prefer different things but some things should be the same for us all like cleaning our hands. I had to make some recommendations, I've checked the ingredients and pH level of the products (if it's a water-based product). If it comes to oil-based cleansers probably the most popular oil is a DHC Deep Cleansing Oil - the list of ingredients is very simple and I'm not a fan of Phenoxyethanol in it, the rest is fine for me. The Body Shop Chamomile Cleansing Oil has nice ingredients in it although there are still some fragrance ingredients which for me aren't a good thing. 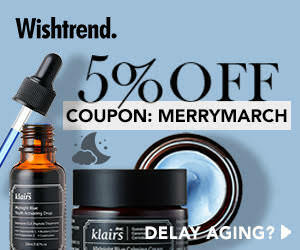 Whamisa and Klairs are also brands which you might want to check but they both base on natural extracts which might be not the best choice for sensitive skin. Personally, I prefer cleansing balms and creams, couple months ago I've tested Banila Co Cleanser in a version Radiance, it was full of PEG's and preservatives but a version called Purity is way better than the regular one and it smells nice. Aromatica Orange Cleansing Sherbet is a good choice if you prefer eco-cosmetics. My all-time favourite is The Body Shop Chamomile Cleansing Balm it has some flaws like PEG & fragrance ingredients but it's a mild cleanser and I never had an allergic reaction to it - plus the availability is better than Banila Co.
COSRX Low pH Good Morning Gel Cleanser (pH = 5.5) is probably the most popular k-beauty cleanser, so many of my friends have tried it and I tried it too. The smell is amazing but for me, it is a little bit too strong, it makes my skin very clean, I literally can't feel any oil on my skin. Innisfree has so interesting propositions if it comes to cleansers, for example, Blueberry Rebalancing 5.5 Cleanser (pH = 5.5), I was surprised by the whole series. This topic is quite long and I'm sure it's hard to write down everything that's why I want to share with you some useful articles and resources. Jaka jest najważniejsza część pielęgnacji? Jeżeli myślicie, że nawilżanie czy ochrona przeciwsłoneczna to jesteście w błędzie. Nawet jeśli każda część pielęgnacji jest tak samo ważna to produkty nie będą działań tak jak powinny na brudnym płótnie. Oczyszczanie to najbardziej podstawowy krok, ale nawet przy najprostszej czynności mogą pojawić się problemy. Bądźmy szczerzy - utrzymanie higieny po całym dniu pracy jest ciężkie. Robimy wszystko tak szybko jak się da, ponieważ żyjemy w biegu. Czas nie jest po naszej stronie, mimo że czasem warto w tej gonitwie zwolnić, zwłaszcza jeśli chodzi o oczyszczanie. Jestem pewna, że spora część osób osusza twarz ręcznikiem, ale nie zawsze jest to najbezpieczniejszy sposób osuszania cery po oczyszczaniu. Jeśli zmieniasz ręcznik codziennie - a powinniśmy zmienić go po każdym użyciu - to może to zadziałać, dla mnie papierowe ręczniki są lepsze - nie muszę pamiętać o ich wymianie po każdym dniu czy użyciu. Za to rzecz, o której mam wrażenie, że większość z nas zapomina to… mycie rąk przed oczyszczaniem twarzy. Jeśli zastanawiacie się czemu jest to tak ważny etap to odpowiedź jest bardzo prosta - na rękach zbieramy sporą ilość bakterii, a skóra nie przepada za bakteriami, ponieważ jest to źródło pryszczy, podrażnień i wielu innych skórnych problemów. Myślę, że o czystej wodzie przypominać nie muszę. Podwójne oczyszczanie czy nie - co jest lepsze? I największy problem oczyszczania - oczyszczać dwuetapowo czy nie? Wiem, że oczyszczanie dwuetapowe stało się bardzo popularne, ale co za dużo to nie zdrowo. Oczyszczam cerę dwuetapowo tylko wieczorem kiedy potrzebuje oczyścić cerę z makijażu. Spora grupa ludzi boi się olei - zwłaszcza posiadacze cery tłustej, ale tu informacja dla Was - po to mamy drugi krok - produkt na bazie wody, aby usunąć pozostałości oleju z cery. Mówiąc krótko - podwójne oczyszczanie jest dobre, ale wszystko z umiarem. Jak wybrać idealny produkt do oczyszczania cery? Czy idealny produkt do oczyszczania cery istnieje? Nie, jeden produkt może działać na mojej cerze, ale nie zadziała na Twojej. Jeśli chcesz znaleźć idealny produkt do oczyszczania na bazie oleju to polecam zgłębić się w oleje, które nie zapychają - dla przykłady, tłusta cera może mieć problemy z olejem kokosowym - oprócz tego musimy również sprawdzać składy, niestety niektóre produkty na bazie oleju mają więcej PEG’ów niż tego są warte. O olejach dla cery trądzikowej pisałam już dawniej, przed wyborem oleju warto sprawdzić ten post. Również zwróć uwagę na teksturę - oleje gęste lepiej sprawdzą się przy cerze suchej, za to lekkie formuły przy cerze tłustej. Jeśli chodzi o produkty na bazie wody to głównie sprawdzamy pH produktu. Idealny produkt do oczyszczania na bazie wody powinien mieć pH = 5,5, niestety większość producentów nie informuje nas - konsumentów - o pH produktu, ale od czego jest internet i długie listy pH produktów stworzone przez blogerów i osoby interesujących się pielęgnacją. Jeśli masz cerę ze skłonnością do trądziku to pH powinno być dla Ciebie bardzo ważne, ponieważ użycie produktu z wysokim pH sprawia, że nasza cera staje się idealnym środowiskiem dla bakterii. pH ma również znaczenie na nasze pory. Inna rzecz, na którą warto zwrócić uwagę - zawartość alkoholu - jeśli jest to możliwe, to lepiej wybrać produkt do oczyszczania bez alkoholu. Alkohol w kosmetyce nie zawsze jest zły, ponieważ może podbić działanie innych składników, ale również może cerę wysuszyć. Nie chcemy w naszych produktach znaleźć też silnych substancji powierzchniowo czynnych, a więc czas pożegnać SLS. Główny problem z silnymi substancjami jest taki, że usuwają nie tylko makijaż, ale i niszczą naturalną barierę lipidową co może prowadzić do podrażnienia czy jeszcze gorszych problemów. Wody micelarne są świetne - często po nie sięgam, bardzo je lubię jednak są one pełne substancji powierzchniowo czynnych co nie jest najlepsze dla cery. Co odkryłam i o czym większość z nas zapomina - dobrze jest zmyć wodę micelarną wodą, a więc po każdym użyciu wody micelarnej próbuje pamiętać, aby ponownie oczyścić cerę wodą. Ponownie problem leży w pH produktu. Zazwyczaj mydła mają wysokie pH, którego przed zakupem nie możemy zbadać. Idealny pH produktu oczyszczającego na bazie wody powinno wynosić ok. 5,5, jeżeli jest za wysokie - tak mniej więcej powyżej 6,5 to stworzy nam na skórze idealne środowisko dla bakterii, dlatego warto z mydłami uważać. Jeżeli malujesz się to usunięcie tuszu, eyelinera czy pomadki powinno być pierwsza czynnością w oczyszczaniu. Istnieją specjalne produkty do oczyszczania cery z makijażu, jedyne co należy zrobić to zamoczyć płatki kosmetyczne w produkcie i delikatnie przycisnąć je od oczy czy ust, po kilku sekundach delikatnie usuwamy makijaż. Nie chcemy za mocno naciągać skóry w tych okolicach, zwłaszcza skóry wokół oczu, która jest bardziej wrażliwa. Z programów o urodzie nauczyłam się jednego - możesz zamoczyć w produkcie do oczyszczania makijażu patyczki do uszu i delikatnie nimi usunąć tusz. Po takim oczyszczaniu często przechodzę o produktu na bazie oleju i zmywam makijaż z oczy ponownie. Jeden mały pro tip - makijaż zmywam z wewnątrz do zewnętrznej strony czyli zaczynami od kącika oka i idziemy w stronę ucha. Niektóre osoby mówią, że szczotki do oczyszczania cery są super, inni, że nie. Myślę, że kwestia ta zależna jest m.in. od tego jakiego rodzaju szczotki używamy. Te z syntetycznym włosiem, które poruszają się w kolistych ruchach są bardziej jak peeling niż delikatne oczyszczanie cery - takie szczotki mogą być źródłem tzw. microwounds (mikro ran), a jak wiemy świeże rany to uczta dla bakterii. Osobiście wolę szczoteczki soniczne, ale warto używać ich z rozwagą. To nie żart - można przedobrzyć z oczyszczaniem. Używamy produktów, które bazują na chemikaliach, które nie tylko usuwają makijaż czy bakterie z cery, mogą one również zniszczyć barierę lipidową cery co łatwo doprowadzi do odwodnienia skóry czy podrażnienia. A więc lepiej użyć łagodniejszych produktów dwa razy dziennie - rano i wieczorem. Z rana możecie nawet użyć świeżej wody - są osoby, którym woda wystarczy do oczyszczenia cery z rana, sposób ten przy cerze tłustej może nie zadziałać, ale przy cerze suchej - jeśli nie używasz bardzo ciężkich kremów czy masek na noc to możesz śmiało wypróbować ten sposób. Inna rzecz, na którą warto zwrócić uwagę to ilość produktu - nasza cera nie potrzebuje 20 ml żelu do oczyszczania cery za każdym razem, niewielka ilość zmieszana z wodą powinna poradzić sobie z oczyszczaniem. Przygotowałam dla Was kilka rekomendacji. Sprawdziłam dla Was m.in. pH produktów (jeżeli są one na bazie wody). Jeżeli szukasz oleju do oczyszczania cery to chyba najpopularniejszą opcją jest DHC Deep Cleansing Oil - lista składników jest prosta i pomimo, że nie jestem fanką Phenoxyethanolu to reszta składu mnie przekonuje. The Body Shop Chamomile Cleansing Oil ma ciekawy skład pomimo kilku składników zapachowych, które według mnie pozytywne nie są. Whamisa i Klairs to marki, które warto sprawdzić, obie bazują na naturalnych ekstraktach, jednak może to nie być idealny wybór dla cery wrażliwej. Ja preferuje oleje w formie balsamów do oczyszczania, kilka miesięcy temu testowałam wersję Radiance kultowego balsamu Banila Co, była ona pełna PEG’ów i konserwantów, ale za to wersja Purity wypada o wiele lepiej i przyjemnie pachnie. Aromatica Orange Cleansing Sherbet to idealny wybór dla osób, które lubią eko-kosmetyki. Moim ulubieńcem jest The Body Shop Chamomile Cleansing Balm - ma swoje wady takie jaki PEG i składniki zapachowe, ale jest delikatny, nie mam reakcji alergicznych na niego i jest o wiele łatwiej dostępny niż np. Banila Co.
COSRX Low pH Good Morning Gel Cleanser (pH = 5.5) to najpopularniejszy koreański produkt do oczyszczania cery na bazie wody, mam wiele przyjaciół, którzy wypróbowali go, sama również go przetestowałam. Zapach jest cudowny, ale jak dla mnie - jest troszkę za silnych, sprawia, że moja cera jest całkowicie oczyszczona, nie czuje ani trochę oleju na cerze. Innisfree ma ciekawe propozycje jeśli chodzi o oczyszczanie, np. Blueberry Rebalancing 5.5 Cleanser (pH = 5.5) - cała seria jest warta uwagi.